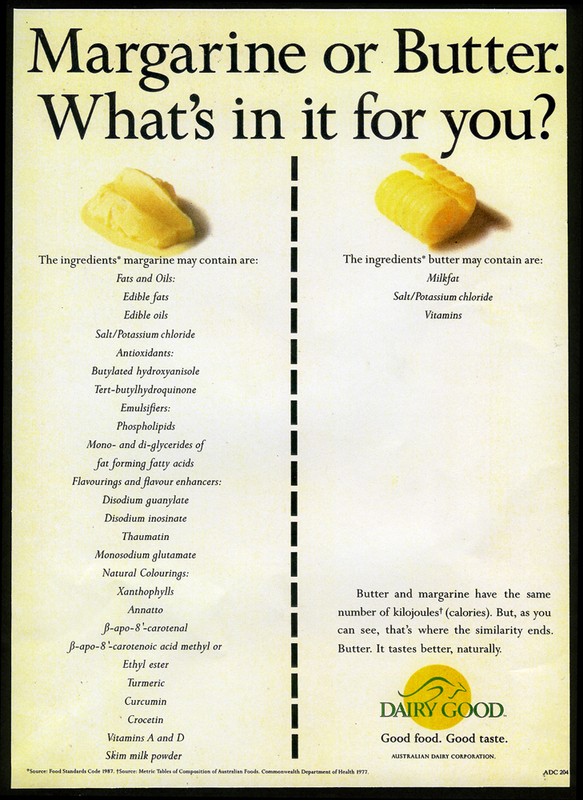 This advertisement was designed to counteract the health claims of margarine, by highlighting its industrial nature as compared to the natural product, butter. The advertisement merely listed the permissible ingredients in each product. A follow-up ad was planned to show how the manufacturing processes differed from each other. Agency: Clemenger Melbourne.